Sign up to receive exclusive discount offers and new product announcements. Issue Management Council members and booksellers receive our IAP Partner Discounts. 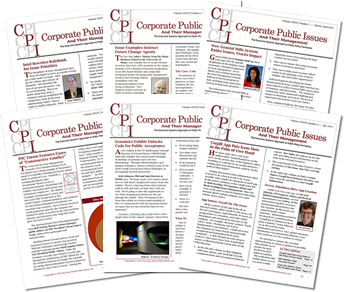 CPI is the original and leading Issue Management report, providing readers with unique access to an insider’s examination of how practitioners and leaders successfully use Issue Management “in the field.” CPI travels the world to probe for, create and share the most innovative Issue Management best practices and tools used by real companies to manage real issues. Through the pages of CPI, you’ll receive unduplicated, hands-on, practical guidance on how to advise your organization as its Issue Management Process Leader. 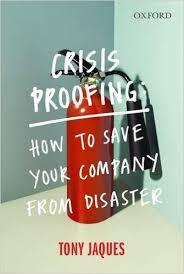 Printed versions of CPI will be mailed directly to the address provided. The Electronic Site License grants you the rights to an electronic version of CPI that is licensed for internal distribution. This 12-page paper introduces the concept of Issue Management and identifies the principal participants. It describes the issue life cycle and illustrates an example of a weekly workflow including inputs and deliverables and continues with an evolution of Issue Management considering four levels of public interface. To close, the authors suggest operational requirements that characterize a strategically relevant global Issue Management process. Authors Michael Palese and Teresa Yancey Crane each has more than three decades’ experience working directly with companies to help practitioners develop, learn and deploy best practices in the Issue Management discipline. The Issue Management process model and step-by-step guide are useful tools for the practitioner of issue management. The chart appears in full color, as a wall chart, and was developed by the editors of “Corporate Public Issues.” The guide is 15 pages in length.